Group exhibition Effects that Aren't Special: The 40th Annual Photography Regional curated by Tim Davis at the Opalka Gallery, New York. For the 40th Annual Photography Regional, we return to a curated format in order to get a deeper look at a smaller number of regional artists working in photography. 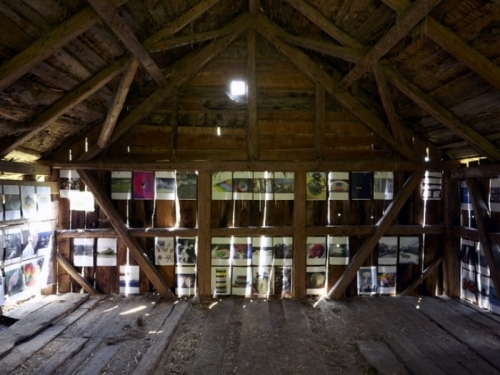 Curated by artist Tim Davis, professor of photography at Bard College. Effects That Aren’t Special is a way to describe the sense that photography is a tool for describing the every day in a way that we never easily acclimate to. Special effects are aesthetic tools that grab us, but almost always feel like filigree or decoration, abandoning our attention. The artists in this show employ optical, conceptual, or essential effects that we never get used to and that move to the heart of the matter, defining the work rather than selling it to us. The show features generous selections from each artist, as well as a catalog with an essay by the curator.